A passenger sits in the driver’s seat of a Tesla Model X and places his hands under the steering wheel just as the Rolling Stone’s 1966 song, “Paint It Black,” provides background music. That song refers to black and white screen images laced into the video that shows viewers the new full self-driving capabilities that Tesla CEO Elon Musk explained Wednesday evening during the conference call. “Right rearward vehicle camera” is the first feature displayed in black and white during the video. After taking a spin around on city streets and a freeway, the all-electric SUV comes back to Tesla’s office. The passenger gets out of the Model X in the parking lot, which then moves forward without a human driver, and stops to let a pedestrian safely cross the lot. The Model X parks itself against a curb as the song comes to an end. 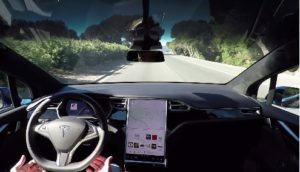 Tesla has said that Autopilot is at Level 2 on the autonomous vehicle scale, with a combination of two technologies designed to make driving easier. The new system will be what some organizations, include the Society of Automotive Engineers (SAE) would define as Level 5, which does not have any option for human driving – no steering wheel or controls. Automakers and suppliers are running the gamut over which level they’re supporting in the next few years. Tesla seems to be joining in with Google and Ford in supporting Level 5 fully autonomous vehicles, with Tesla having the potential to bring it first to market. The fully autonomous system will need to gain government approval before it’s allowed to be activated and used by Tesla owners. Tesla said that high-end Model S and Model X vehicles equipped with hardware for full autonomy are already in production, and the upcoming Model 3 will have it as well. Previously built vehicles without the new hardware won’t have the fully autonomous features. The software for reaching the fully self-driving mode will need to be validated, and the new system still need to be approved by regulators. Tesla expects to reach those milestones in time, which Musk said would be much safer than cars currently on roads driven by humans. “It will take us some time into the future to complete validation of the software and to get the required regulatory approval, but the important thing is that the foundation is laid for the cars to be fully autonomous at a safety level we believe to be at least twice that of a person, maybe better,” Musk said Wednesday. The Tesla blog article, posted Wednesday, describes the new fully automated system. It will provide eight surround cameras with 360 degrees of visibility around the car at up to 250 meters of range, compared to one camera in previous Tesla vehicles. Twelve updated ultrasonic sensors improve the range, allowing for detection at nearly twice the distance of the prior system. A forward-facing radar with enhanced processing provides additional data through whatever weather and lighting conditions the vehicle is traveling through. The question of whether Tesla will follow a similar path as is being tested by Uber, General Motors and Lyft, and Ford’s strategy to integrate autonomous systems to ride-hailing services, was clarified on Thursday. Yes, Tesla will be entering that space, and it will be called Tesla Network. Tesla posted a disclaimer to its website on Thursday providing more information to a comment Musk made Wednesday. He said Tesla is building new vehicles with the necessary hardware to eventually enable full autonomy. “Please note that using a self-driving Tesla for car-sharing and ride-hailing for friends and family is fine, but doing so for revenue purposes will only be permissible on the Tesla Network, details of which will be released next year,” read the Tesla website disclaimer. The concept was originally announced by Musk in his July blog post, “Master Plan, Part Deux.” The Tesla CEO outlined a system in which a Tesla owner could add a car to a shared Tesla fleet using a mobile device app, allowing it to “generate income for you” and lower the cost of ownership. Musk said that in cities where car ownership is lower, Tesla would operate its own fleet. General Motors Co. confirmed its commitment to urban mobility yesterday by announcing it has acquired the technology and most of the assets of Sidecar Technologies Inc. Sidecar had been the third largest ridesharing firm after Uber and Lyft, and the acquisition follows closely behind GM’s $500 million investment in Lyft. GM is also bringing over about 20 employees from the Sidecar team, including co-founder and Chief Technology Officer Jahan Khanna. It’s expected the deal price was somewhere around $39 million. Sidecar started up in San Francisco in 2012, which was the also the home base of Uber and Lyft; the company has been credited with playing an integral role in popularizing peer-to-peer rides where car owners transport customers through smartphone transactions; ridesharing also became common with Sidecar riders long before Uber got into that segment. Sidecar ceased operations at the end of December and said it would soon announce “the next big thing.” GM expects the Lyft and Sidecar acquisitions will place the automaker in a strong competitive position for ridesharing services and autonomous vehicles – and to compete with Uber and other automakers. Automakers are showing their seriousness about investing in urban mobility and advanced vehicle technologies through the GM deals; Ford CEO Mark Fields has said his company is working on its own ride-sharing service; and last year, Daimler acquired German ridesharing apps RideScout and mytaxi. Southern California Edison will be installing 1,500 electric car charging stations throughout Southern California. California Public Utilities Commission gave approval in December for a $22 million pilot program targeted at installing charging stations at locations where cars are parked for extended periods of time, such as at workplaces, campuses, recreational areas and apartment and condominium complexes. SCE will install and maintain the supporting electrical infrastructure, but participating property owners will own, operate and maintain the charging stations. CPUC issued a statement in December with modification to the San Diego Gas & Electric’s original proposal, and the utility must still decide whether or not to accept the CPUC’s modifications. 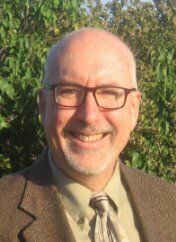 Incentives for fleet deployment of EVs: ACT Expo is hosting a complimentary, one-hour webinar, which will highlight key incentives that help to substantially buy down the cost of electric vehicles, charging, and other costs of traditional vehicle ownership to maximize fleet deployment. Presenters include Nissan with information offered about significant fleet incentives; and GNA’s Funding 360° Program that helps companies, municipalities, and organization track, evaluate, and apply for funding programs throughout North America. Click here to register for the free webinar, “Making Cents of Electric Vehicles: Key Incentives for Fleet Deployment,” which takes place of Feb. 10, 2016, at 10:00-11:00 a.m. PT. Tesla’s Gigafactory: Panasonic has shed more light on the Gigafactory project in Nevada; the electronics giant will invest up to $1.6 billion in the $5 billion project, Panasonic president Kazuhiro Tsuga recently said at the Consumer Electronics Show (CES) in Las Vegas. Panasonic will also provide its expertise on battery development as its partner Tesla Motors develops the production plant for its more affordable battery packs in the upcoming Model 3 electric car. Propane-powered school buses: Roush CleanTech is working with Blue Bird to provide 11 propane-powered school buses to the Metropolitan School District of Warren Township. That will be the largest deployment of propane autogas school buses in the state of Indiana. The Blue Bird Propane Vision buses, purchased through dealer MacAllister Transportation, include ten 78-passenger models, and one bus outfitted with a wheelchair lift. “Better cold weather starts, lower maintenance and fuel cost, quieter buses, as well as better air quality for students, the bus driver and our community were the reasons we chose propane autogas,” said Steve Smith, director of transportation for M.S.D. Warren Township. Green cars sold and made in China: Battery electric and hybrid vehicles are expected double to 700,000 vehicles sold in China, the China Association of Automobile Manufacturers said. Sales of “new energy vehicles” quadrupled in 2015, thanks to government subsidies and other preferential policies. General Motors plans to export the plug-in hybrid version of its Cadillac CT6 luxury sedan from China to the U.S. when the car goes on sale this year. The plug-in hybrid version will be built only in a plant in China, which is one of two factories assembling the CT6, the company said. Tesla and Apple: Tesla CEO Elon Musk did confirm that his company will be working on an electric car project with Apple. Known as “Project Titan,” the program is reported to involve hundreds of engineers, and some analysts say its goal is to produce a car as innovative as the iPod or iPhone. “It’s pretty hard to hide something if you hire over a thousand engineers to do it,” Musk said in a recent interview with the BBC at Tesla’s California design studio. Tesla and Apple have also been filing for patents on similar technologies, another sign that an alliance was in the works, according to a Thomson Reuters report. VW investors suing: Along with over 450 lawsuits filed by owners of faulty Volkswagen diesel models, the German automaker just took another hit – dozens of the largest shareholders, and “thousands” of smaller investors, will be suing the company. They’ll be demanding compensation for the losses they’ve taken coming from the scandal. In other VW news, the California Air Resources Board on Tuesday of last week formally rejected VW’s plan to fix its polluting diesel engines. CARB said the recall plan was “incomplete, substantially deficient and falls far short of meeting the legal requirements” to be approved; and that VW was taking too long to devise a fix. RNG delivery trucks: UPS will be adding more renewable natural gas to its fleet with an estimated 15 million diesel gallon gas equivalents of RNG. It will be part of a multiple-year agreement with Memphis Light, Gas and Water and Atmos Energy Marketing, LLC, in the Memphis, Tenn. and Jackson, Miss., coverage areas for UPS deliveries. The RNG will fuel more than 140 heavy duty trucks in Memphis and Jackson, which is part of UPS’s natural gas fleet. General Motors and Honda may expand their hydrogen fuel cell vehicle joint venture, adding a new fuel cell plant. The new measure would take things toward a critical next step, helping put their research into production, the companies said. Honda is set to become the third major automaker to begin retailing a hydrogen-powered vehicle with the planned introduction, later this year, of its Clarity FCX. Consortium and funding for connected and autonomous vehicles: The federal government announced a consortium of global automakers and budgetary funding to better support advancements in connected and autonomous cars, V2V, vehicle safety, and protection from hackers. U.S. Transportation Secretary Anthony Foxx made the announcement last week surrounded by senior executives from 18 automakers joining the consortium. The first project will focus on cyber security, which is considered a critical issue for putting autonomous vehicles on roads. Foxx also discussed, during his visit last week to the Detroit Auto Show, the Obama administration making $3.9 billion in funding available for development of connected car technology and automated vehicles. That would fund a 10-year pilot program to test what is expected to become a nationwide vehicle-to-infrastructure network and to press forward with vehicle-to-vehicle communications technology, known in the industry as V2V and V2I. “We are on the cusp of a new era in automotive technology with enormous potential to save lives, reduce greenhouse gas emissions, and transform mobility for the American people,” Foxx said. Continental AG’s president Jeff Klei believes strongly in autonomous vehicles coming to our roads, but a few hurdles must be crossed first. Continental is playing a large role in autonomous vehicle testing. Klei predicts there will be 54 million autonomous vehicles will be on roads by 2035. Data sharing between municipalities and automakers will be necessary. He said that for his forecast to be met, autonomous vehicles will need an accurate road map and reliable data from the infrastructure – such as stop lights, speed limits, lane closing, and road work – along with live traffic updates from other vehicles. Automakers will need the cooperation of municipalities, which may or may not have a centralized traffic control system. Uber fine and Chinese investment: The California Public Utilities Commission followed a judge’s recommendation last week to fine Uber $7.6 million for failing to meet data reporting requirements in 2014. The PUC says driver data is necessary to determine whether or not Uber is serving all manner of passengers in any neighborhood. Taxis must also comply with those rules. Uber’s main ridesharing competitor, Lyft, has complied with regulators. In a separate story, Uber Technologies said that its Chinese division will receive an undisclosed amount of investment from Chinese firm and aviation and shipping conglomerate HNA Group. It’s part of Uber‘s strategy to break into China’s huge tourism industry. Services will include an array of transportation services to and from airports and for HNA flights, as well as online financing for the automotive sector. Where consumers think cars are going: Check out, “Consumers, cars and the Internet of Things.” In this second IBM report from its Auto 2025 series is analysis of what more than 16,000 consumers worldwide said about the industry – particularly, how they personally expect to use automobiles in the next ten years. Hybrid jet: NASA is experimenting with a hybrid airplane engine at its Glenn Research Center in Ohio to contribute to emissions reducing technologies for commercial aviation. The aircraft hybrid system would use electric motors working in concert with a jet turbine, like the ones used in today’s commercial airliners. Researchers think this hybrid propulsion system could reduce fuel consumption by up to 30% compared to traditional aircraft. Toyota is trying out a data transfer system for connected cars that could go way beyond 5G technologies in mobile phones. Toyota is working with Kymeta Corp., a Washington State-based technology company that is developing a new type of satellite antenna that could deliver massive amounts to data to vehicles. The challenge will be mounting large satellite antennas on a car. Kymeta has designed a six-inch wide plate-like antenna that might fit. One test run has two Kymeta antennas in the roof of the Toyota Mirai fuel cell car. Self-driving cars and electrified vehicles were key themes at the 2016 Consumer Electronics Show (CES) last week in Las Vegas. CES has become the leading showcase arena in the U.S. for the coolest, cutting-edge devices for cars and other consumer products. It seems to be evolving into the leading event of the year for the auto industry, slightly surpassing the North American International Auto Show right before it starts up this coming week in Detroit. Analysts say we’re 15-to-20 years from seeing hundreds of thousands of fully autonomous vehicles on our roads. In the meantime, the concept of self-driving cars appears to be an ideal platform for automakers and technology partners to be rolling out, and testing out, new bells and whistles that will eventually become standard features. Electric vehicle technologies were also shown off by OEMs during CES. Ford CEO Mark Fields was a keynote speaker at CES, where he announced a deal with Amazon to incorporate the cloud-based voice assistant, Alexa into its vehicles. Using Alexa will allow a driver to not just open a garage door but turn on lights and adjust the thermostat by voice command, among other features. Fields talked about Ford’s commitment to personal mobility through supporting ridesharing and carsharing programs. However, he didn’t mention the alliance with Google on self-driving car technologies that had been announced shortly before CES. Fields did talk about a new light and radar sensor (LiDAR) that can be mounted in the mirrors of a car. Developed by Silicon Valley-based company Velodyne, Inc., this third-generation sensor can extend the LiDAR range by 200 meters, which is essential for the safety of autonomous vehicles. It’s called the “Ultra Puck,” and will enable a driverless vehicle to create a real-time, 3D map of its surroundings, Fields said. General Motors chairman and CEO Mary Barra, during her keynote Wednesday, confirmed that the 2017 Chevrolet Bolt electric car would be in production this year and would sell, after government rebates, for $30,000. While it will be competing with the Nissan Leaf, it will get about double the range at 200 miles. Barra’s unveiling of the Bolt at CES came just days after GM announced an alliance with ridesharing service Lyft that includes the creation of a fleet of shared GM vehicles available for Lyft drivers to rent. The Bolt will be a key display feature for GM this week at the Detroit Auto Show. As Volkswagen continues to battle the diesel emissions violations scandal, CES was a platform for showing off its electric people-mover concept. VW’s BUDD-e minivan concept has been designed to show what connected, electric transportation could look like a few years from now. The BUDD-e concept, revealed at CES on Tuesday, offers a new modular platform toolkit designed for electric vehicles that the automaker intends to deploy across its brands. BUDD-e packs a 101-kilowatt-hour battery providing up to 373 miles of range in the New European Driving Cycle, a test cycle designed to assess emissions. It can be recharged to 80% in 15 minutes, the company said. Automakers and leading automotive suppliers have been taking self-driving car technologies very seriously in recent years – according to a study released during CES by Thomson Reuters. According to the new report from the Intellectual Property and Science business of Thomson Reuters, there were more than 22,000 new inventions related to self­driving automobiles between 2010 and 2015. Companies such as Toyota, Bosch, Denso, Hyundai, GM and Nissan, have been the global leaders in self­driving vehicle innovation. Toyota alone has patented over 2,000 new driverless tech inventions in the last five years, double the number two player Bosch, according to the report. LG, Samsung, Google, Boeing, IBM, Amazon, Carnegie Mellon, and MIT also have contributed significant new intellectual property in the category over the last five years. While Apple is new to the autonomous vehicle game, Thomson Reuters IP & Science analysts predict that Apple will soon make a collaboration announcement with Tesla Motors; while Apple is not a leading innovator in this field like Google has become, a partnership with Tesla would be a predictable move for both companies, based on a thorough review of both companies’ patent portfolios, according to Thomson Reuters. Nvidia has introduced a new computer for vehicles that includes artificial-intelligence features to make them more autonomous. Volvo will use the new product in its public trials of autonomous vehicles in 2017, the company said. Nvidia designs graphics processing units, as well as system on a chip units for the mobile computing market, and is working on playing a role in the automotive technology market. 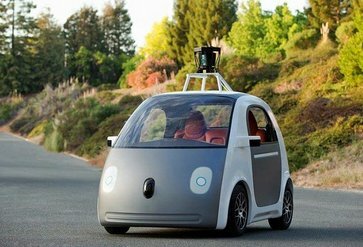 Self-driving cars was the topic of several surveys and studies released last week. New data from an Autotrader study reveals 70% of consumers are more likely to consider vehicles with autonomous features such as parking assist, collision avoidance, and automatic braking. Self-driving cars are involved in fewer crashes on average than vehicles with a driver behind the wheel, according to a study by the Virginia Tech Transportation Institute commissioned by Alphabet Inc’s Google unit. It looked only at Google’s fleet of more than 50 self-driving cars, which has logged 1.3 million miles in Texas and California in self-driving mode. The test fleet has reported 17 crashes over the last six years, although none were the fault of the self-driving cars, Google said. After adjusting for severity and accounting for crashes not reported to police, the study estimated cars with drivers behind the wheel are involved in 4.2 crashes per million miles, versus 3.2 crashes per million miles for self-driving cars in autonomous mode. A survey conducted by Volvo found that 92% of respondents believe that people should be able to take control of self-driving cars at any moment while 81% of the people agree that automakers, not car owners, should take responsibility if an accident occurs while a vehicle is driving autonomously. While self-driving cars grabbed most of the media attention at CES, Panasonic Corp.’s President Kazuhiro Tsuga says it will be years before autonomous systems contribute meaningfully to the company’s bottom line. Panasonic, which has partnerships with Ford, Toyota, Tesla, forecasts sales in the automotive segment will climb to $17.8 billion in the year ending March 2019. Most of that will come from cockpit infotainment systems and car batteries, Tsuga said. Kia executives said that said the Korean automaker will offer their first “partially autonomous” vehicle by 2020, with “highly autonomous” technology to follow five years later. The company will invest up to $2 billion in autonomous vehicle technologies, the company said. GM and Lyft forge alliance: General Motors is making its largest single investment ever in another company – $500 million will go to Lyft, Inc. to support advancement of autonomous vehicles and ridesharing. GM has been working on autonomous vehicle technology for several years, and plans to start testing autonomous Chevy Volts in 2016. The deal with Lyft, which is No. 2 in ridesharing services in the U.S. behind Uber, will leverage GM’s experience in autonomous technology and Lyft’s ridesharing service offerings. This deal was made not long after Ford Motor Co. and Google announced an alliance to develop autonomous vehicles. Google Ventures is a major investor in Uber, and that ridesharing company has been testing out driverless cars over the past year with the Carnegie Mellon University research center. Uber may be a channel for Ford vehicles and autonomous vehicle testing, as Lyft will be for GM. 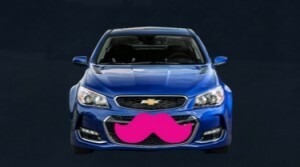 As part of the arrangement announced yesterday, GM will become a preferred provider of short-term use rental vehicles to Lyft drivers through rental hubs in various cities in the U.S. Lyft drivers and customers will have access to GM’s wide portfolio of cars and OnStar services, as well. DOJ files VW suit: The Department of Justice filed a civil complaint yesterday against Volkswagen claiming that nearly 600,000 cars with diesel engines in the U.S. violate emissions laws – and that many were imported in violation of the Clean Air Act. The DOJ and U.S. Environmental Protection Agency may be putting pressure on VW to reach a deal on how to resolve recall issues. Talks haven’t been going very well so far, according to EPA Assistant Administrator Cynthia Giles. The suit was filed in Detroit on behalf of the EPA. VW says it is “working with EPA on developing remedies to bring the TDI vehicles into full compliance with regulations as soon as possible” and with government agencies investigating these matters. Faraday Future EV supercar: The FFZero1 concept car has been unveiled at Consumer Electronics Show 2016. The Zero1 is a single-seat electric race car. The design is wild – sort of like the Batmobile meets Grand Prix racer. It’s called the “UFO Line” and will become a defining feature of all Faraday Future’s next supercars, the company says. Another news story coming from Las Vegas has been the company losing its chief battery architect ahead of introducing its concept vehicle at CES. Porter Harris lists his current employer as Lotus Research and Development LLC on his LinkedIn page. Harris was responsible for engineering and designing Faraday’s battery packs. Ford investing in battery technology: Ford Motor Co. may be competing with another automaker, Tesla Motors, as a developer of its own hybrid and electric vehicle battery technologies. Ford will be investing $4.5 billion into electrification R&D, and is adding 13 new EV vehicle nameplates while expanding its electrified offerings into Taiwan, South Korea, and China. When Ford recently announced a range increase for its 2017 Focus Electric, company executives also shared information on battery chemistry research and developing its own battery cells for its future EVs. Hyundai Ioniq competing with Prius: Hyundai Motor Co. will be rolling out its Ioniq model in U.S. this month, which comes in three electrified versions – a traditional hybrid, a plug-in hybrid, and an all-electric version. The company says that the Ioniq hybrid will deliver better highway fuel economy than the Toyota Prius. Suggestion to CARB on VW scandal: A collaborative of 15 environmental, conservation, and health organizations issued a rebuttal to a letter submitted to the California Air Resources Board on the Volkswagen diesel scandal. The original letter, signed by Tesla CEO and others last month, requested CARB work to have VW bring zero emission vehicles to the state as a higher priority than fixing non-compliant diesels. That proposal doesn’t deal with the real health impacts, and offers no remedy to purchases of defective VW diesel cars, the letter said. This group is calling for a full investigation and prosecution to the fullest extent of the law. California ending green stickers: If you’re thinking of buying a plug-in hybrid in California, keep in mind that the green carpool lane stickers for solo drivers will no longer be available. The state has issued all of the 85,000 green HOV lane stickers for plug-in hybrids, unless the state legislature authorizes more of them. They may be going away like the yellow stickers for hybrids went away a few years ago. There are still an unlimited number of “white stickers” for available for battery-electric cars, hydrogen fuel-cell cars, and compressed natural gas vehicles. New Clean Cities site: The U.S. Department of Energy’s Clean Cities has just launched an all-new website designed around easier navigation and a fresh new look. According to the Clean Cities blog, there are five new features to explore that were designed around offering a bold new look and enhanced user experience. Top sales mark for Tesla: Tesla Motors passed the 50,000 sales mark for 2015, its best-ever effort and slightly more than the maker had signaled it would deliver for the year. During the fourth quarter, Tesla delivered 17,400 of its cars, including a small number of the new Model X SUVs. That was 75% more than the same quarter in 2014, and a 48% increase over Tesla’s previous quarterly record. In other news, Tesla officials are investigating another Model S fire incident. A mysterious fire destroyed a Model S sedan Friday at one of the company’s Supercharger stations in Kristiansand, Norway, about 200 miles southwest of Oslo, the capital. Home charger incentive: The South Coast Air Quality Management District is offering a residential electric vehicle charging incentive pilot program to offset Level 2 (240 volt) EV charger hardware costs. This program will be available to residents within the SCAQMD’s four-county jurisdiction on a first come, first served basis. The program provides up to $250 for the cost of hardware for Level 2 residential chargers; and an additional incentive of up to $250 will be available for low-income residents. The California Department of Motor Vehicle’s proposal, released Wednesday, raised the bar on what’s considered to be the fundamental question for autonomous vehicles: Will we trust the machine or the human? The California DMV’s proposal, which will receive public comments before being finalized, states that all autonomous vehicles would need a steering wheel and pedals when operating on California’s public roads. A licensed driver with an autonomous vehicle operator certificate would have to be in the car behind the wheel, capable of taking control to avoid a collision. Safety of the autonomous vehicles and the public who share the roads with these vehicles is the primary concern, DMV said. Google Inc., which has been testing self-driving cars in California since 2009, released a statement opposing the DMV rule. 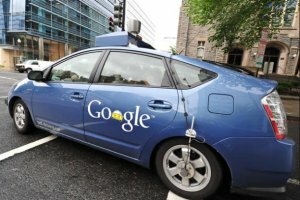 “This maintains the same old status quo and falls short on allowing this technology to reach its full potential, while excluding those who need to get around but cannot drive….We can do better,” Chris Urmson, the director of the Google self-driving project since its inception, said in a statement. While a few other states have been considering autonomous vehicles on their roads, California has been the epicenter of road testing with more than a million miles already being driven. The companies certified to test autonomous cars on California roads are automakers BMW, Ford, Honda, Mercedes-Benz, Nissan, Tesla and Volkswagen Group; suppliers Bosch and Delphi; and technology companies Google and Cruise Automation. Ford is the most recent company to secure a permit from California to begin testing its self-driving car on public roads beginning next year. Ford will test its Ford Fusion Hybrid car. California’s proposed regulations would require car owners to get a special state-issued driver’s certificate after receiving training from a car company on how to use a driverless vehicle. Autonomous cars also would have to pass a test administered by a third party before being sold. Automakers would only be allowed to lease driverless cars versus selling them to registered owners. The self-driving car will be required to carry a data recorder, and the human onboard is responsible for any traffic violations. The manufacturer must pay a $33,000 to $50,000 processing fee, and may have to cover any costs incurred during certification. Companies like Google and a few of the automakers may move their autonomous vehicle testing programs to other states, such as Texas. This summer, Google started testing its self-driving cars in Austin, Texas. Google has been testing four self-driving Lexus cars in Austin with an employee in the driver’s seat ready to take control if necessary. Four months into Google’s test drives, Texas transportation officials seem to be unsure how to regulate their safe operation statewide. Unlike California and a few other states, Texas has no obvious regulatory restrictions on self-driving vehicles. Google and other major developers of self-driving cars have generally warned the DMV that strict rules could slow the rollout of the technology, and some consumer groups have called for regulation to ensure that self-driving cars are safe. A recent study by the University of Michigan’s Transportation Research Institute in Ann Arbor, Mich., found that the accident rate for self-driving cars has been twice as high as for regular cars. Driverless vehicles have never been at fault, the study found: They’re usually hit from behind in slow-speed crashes by inattentive or aggressive humans unaccustomed to cars driving that slowly and carefully ahead of them. Google cars have been in 17 minor crashes in 2 million miles of testing and account for most of the reported accidents, according to the Michigan study. That’s partly because the company is testing mainly in California, where accidents involving driverless cars must be reported. Recent Google crashes include one in Mountain View, Calif., where the driverless car came to a full stop at a red light and began slowly creeping forward. Another car stopped behind the Google test car and began rolling forward into the right turn, rear-ending it at 4 mph. A few days later, a Mountain View motorcycle police offer became the first cop to pull over a self-driving car. The Google car was going 24 mph in a busy 35 mph zone with several vehicles stacking up behind it. The officer didn’t issue a traffic citation ticket, but did warn the two Google engineers riding in the test car that the slow speed was creating a hazard. Google plans to make its self-driving cars unit a stand-alone business under its parent company Alphabet Inc. next year – and it could offer ride-hailing services similar to Uber and Lyft. Under the new Alphabet corporate structure, search, advertising, maps, YouTube, and Android are part of the Google unit. Other business units will include connected home products maker Nest, venture capital arm Google Ventures, and Google X, the research arm which houses the self-driving car unit. Google Ventures has invested in Uber, and there’s speculation Google and Uber could partner to roll out self-driving cars for ridesharing and delivery services. 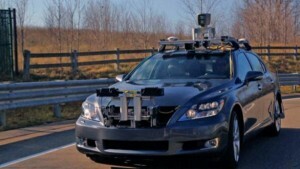 Google will launch its self-driving car unit with services available at first in San Francisco and Austin. The fleets may be deployed first in confined areas like college campuses, military bases, or corporate office parks. Mark Rosekind, head of the National Highway Traffic Safety Administration, said the agency does not yet have a position on California’s proposal to bar autonomous cars without a person in the driver’s seat ready to take over. Rosekind said he opposes a “patchwork” of state regulations on driverless cars and promised a “nimble, flexible” approach to writing new rules for self-driving vehicles. In 2013, NHTSA submitted a proposal that’s yet to be approved, setting a national standard for self-driving vehicle safety. Here’s the 2013 NHTSA announcement on its five-level recommended structure for autonomous vehicle testing. Toyota Motor Corp. is striding forward to reestablish its name as a manufacturer of safe vehicles and a forerunner in advanced, autonomous vehicle technologies. Its vehicle communication system, called ITS Connect, will go on sale in Japan this year in the Toyota Crown luxury sedan; it was unveiled on Oct. 6 during a demonstration near the Tokyo waterfront. Toyota said it will deploy autonomous driving systems by 2020 supporting vehicles talking to each other, scanning blind spots, and keeping safe distance from other cars. Toyota’s work is aimed at supporting developing technologies that could lead the auto industry’s transition to autonomous vehicles. That will come through ITS Connect, which deploys vehicle-to-infrastructure and vehicle-to-vehicle communication systems in its cars; these technologies are also described by transportation planners as “intelligent transportation systems” (ITS). Some experts believe that ITS technologies will be key components in autonomous vehicles. For now, Toyota is considered a leader in connected car technologies that will play a role in the future of autonomous vehicles. Toyota is continuing to recover from its massive vehicle recall during 2009-2010 for “unintended acceleration,” and was part of the major recall this year with Takata airbags. In February 2011, the National Highway Traffic Safety Administration, in collaboration with NASA, released findings into the investigation on the Toyota drive-by-wire throttle system. After a 10-month study, NASA and NHTSA scientists found no electronic defect in Toyota vehicles; the crisis wasn’t over in court rooms, but the ruling helped Toyota emerge from the crisis on solid ground. General Motors seemed to follow Toyota’s lead in 2014 with its massive recall of 39 million vehicles globally over a faulty ignition switch, bringing in outside investigators to get to the root of the problem. Analysts and commentators are encouraging Volkswagen to follow a similar ethical path in its diesel emissions scandal accountability. Along with hydrogen fuel cell vehicles, Toyota has been investing in safety and innovative technologies that could support development of future autonomous vehicles. Toyota has been testing out its own Advanced Safety Research Vehicle – a Lexus LS used for research at the Toyota Research Institute in Ann Arbor, Mich. It uses forward-looking and side-facing millimeter-wave radar sensors, as well as a 360-degree laser scanner. Onboard computers use data from those scanners, and data collected from the engine and wheels, to collect data on the car’s surroundings, and operate the car’s controls. 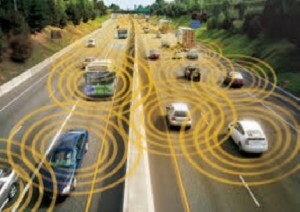 Eight automakers – Toyota, Daimler, Ford, General Motors, Honda, Hyundai, Nissan, and Volkswagen – have been developing vehicle-to-vehicle communications (V2V) technology in cooperation with the federal government for several years through a group called the Crash Avoidance Metrics Partnership (CAMP). The V2V transmitters and software are expected to cost an estimated $350 per vehicle in 2020; but automakers so far have supported NHTSA’s objective. On Aug. 18, 2014, NHTSA released an advance notice of proposed rulemaking and a supporting research report on V2V communications technology. “Safety is our top priority, and V2V technology represents the next great advance in saving lives,” said US Transportation Secretary Anthony Foxx. The rules will give drivers early warnings of approaching danger in vehicles built after 2020. NHTSA predicts that V2V technology could prevent 25,000 to 592,000 crashes and save 49 to 1,083 lives annually when the entire US vehicle fleet has adopted the technology; that would come from adopting Left Turn Assist (LTA) and Intersection Movement Assist (IMT) applications. The Ann Arbor test, managed by the University of Michigan Transportation Research Institute (UMTRI), is testing out several different accident-prevention approaches. The most sophisticated includes 64 cars, three buses and three trucks driven by the public and specially built by the automakers with a sampling of six safety-warning features, along with video cameras to capture traffic incidents. On the green car front, Toyota is counting on the redesigned 2016 Prius to reestablish the Prius brand as a technology innovator. For fuel cell cars, Toyota will be displaying the Toyota FCV Plus at the Tokyo Motor Show. Toyota is counting on the 2016 Mirai to essentially become the Prius of hydrogen fuel cell cars. Autonomous vehicles was a central theme at AltCar Expo in Santa Monica, Calif., on Friday, during its 10th anniversary conference. USA Today’s Chris Woodyard moderated a panel called “Automated Vehicles, Uber Autonomous Driving Now.” The lunchtime keynote speaker was Tony Seba, a lecturer at Stanford University and author of a book on disruption in clean energy and transportation; Seba was the keynoter last year and was popular and controversial enough to be invited back. 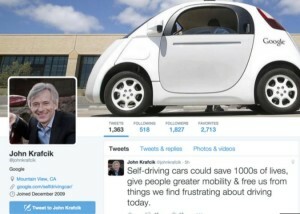 One of his revolutionary forecasts is that all new vehicle sales in U.S. will be electrified and autonomous by 2030. Earlier that week, TrueCar President John Krafcik shocked a few people announcing his new position heading up Google Inc.’s self-driving car project. While TrueCar’s future is in question with founder Scott Painter leaving soon, why would Krafcik choose Google over another automaker? He’d been praised for leading Hyundai to record U.S. sales, and would surely be offered an executive position with an OEM or tier 1 supplier. What’s behind the Google move? Then there were comments made last week by Daimler CEO Dieter Zetsche to Reuters that Mercedes-Benz is thinking about starting up a business unit that would provide on-demand limousine service without a chauffeur; the company may create an extensive fleet of autonomous vehicles to reach consumers who want on-demand transportation services much more than owning a car. What’s behind this thinking? Automotive engineers don’t think autonomous vehicles will make it to our roads in any real numbers until the 2030-to-2035 timeframe – according to a study last year by the Institute of Electrical and Electronic Engineers (IEEE). That’s at least 15 years from now. Here are a few points to consider on why autonomous, driverless cars have become the disruptive technology of the year. Race to Be Leading Auto Tech Company: Google is competing with Apple and Microsoft to be the leading automotive technology partner. While Google has been testing a small fleet of its own self-driving cars in the past year, company executives have stated they don’t want to become an auto manufacturer. That same question has come up for Apple lately as the technology giant tests out autonomous and electrified vehicles. Google, Apple, and Microsoft have been investing heavily in becoming the leading supplier of mobile applications and devices, and software connecting cars to smart phones, telematics, and infotainment features. Google through Android Auto, Apple through CarPlay, and Microsoft with its Windows Embedded Automotive 7, are the latest offerings built around becoming the leading connected car technology systems company. Marriage of Detroit and Silicon Valley: Krafcik will take the helm from Chris Urmson, the former head of the Google self-driving car technology. Krafcik combines engineering and marketing, which is one of the secret formulas behind success in the automotive market. He worked as a mechanical engineer at Ford Motor Co. from 1990 to 2004, where he served as chief engineer for the Expedition and Navigator SUVs. He spent 10 years with Hyundai Motor Co., with five years as the president and CEO of its U.S. division. He led the charge in boosting the automaker’s U.S. sales and market share. Google’s job offer indicates the company wants to be taken seriously by automakers as the leading technology supplier in driverless cars. Other major suppliers like Continental Automotive and Delphi are deeply engaged in testing out driverless car technologies; Google clearly wants to be seen as the leading voice out there in the marriage of Detroit and Silicon Valley. Morphing Automakers: Daimler’s announcement has led to comparison to ubiquitous ridesharing startup Uber – but Daimler has already played a sizable role in the sharing economy. Its carsharing division, Car2Go, is considered by some to be even more substantial than Zipcar in leading the carsharing space. Carsharing is taking off with users and revenues at a fast pace in the past couple of years – just like Uber is seeing dramatic growth in rides. Daimler executives like Zetsche have been talking about the changing role of global automakers in recent years. Daimler, along with BMW, Ford, Toyota, Honda, GM, and Nissan, have been investing heavily in new technologies, research centers in Silicon Valley, and new business models like Car2Go. Some of that has to do with ambitious fuel economy and emissions reductions mandated in the U.S. and Europe, which is a key reason that automakers continue announcing electric vehicle new vehicle launches. There may be something even larger on the horizon. Futurists say that the identity of automakers will change dramatically in the next 15 years – from vehicle manufacturers to mobility companies. Along with environmental concerns, there’s also safety and mobility issues surrounding the “urbanization” trend – where young people are moving into cities and have less interest in owning cars. Leading Advanced Technology OEM: Tesla Motors is emphasizing its leading role in self-driving car technologies through its Autopilot features available as an option with its Model S and upcoming Model X. Tesla’s Autopilot software helps the car maintain its place within a lane and its following distance, as well as manage its acceleration and braking. You can change lanes by switching on the turn indicator and the car will do the rest – moving you automatically to that lane when it’s safe to do so. Autopilot is expected to feature a 360-degree ultrasonic sonar that will monitor everything within a radius to make sure the car stays safely on the road. Every major automaker has connected car features that have been rolling out in recent years – with safety, fuel efficiency, connectivity, and convenience being emphasized. Why would an electric vehicle manufacturer jump into the self-driving car race? The future of the auto industry doesn’t boil down to one leading technology like hybrid or electric powertrains. All of the bases need to be covered for building brand identity and selling more cars. These days, OEMs are racing to be No. 1 in global sales along with being sustainable, efficient, safe, profitable, and the leader in advanced vehicle technologies. “Semi-Autonomous” Vehicles: Autonomous vehicles may never become 100% driverless in the future, and “semi-autonomous” may be more accurate; the main issue being instantaneous highway disasters like a car crash where the driver needs to take over to save lives. Automakers are well on their way to offering the safest and best technologies – some of them being classic like GM rolling out cruise control features in its product lineup. Audi is testing out self-parking car systems, which should be a big hit with car shoppers. “Connected cars” is probably a more accurate search term for where automakers will be investing heavily in finances, intellectual property, and talented staff over the next 10 years – and it could be the same thing as semi-autonomous. The connected car concept is built around tapping into available data to maximize a vehicle’s performance, safety, and convenience. Some experts (including Automotive Digest Publisher Chuck Parker) expect to see limited test applications for connected, semi-autonomous systems in the next few years – such as industrial vehicles or controlled environments like universities or corporate campuses. Why Uber Says it Will Go Driverless: In May 2014, Uber CEO Travis Kalanick made comments about Uber going driverless. It was a day after Google unveiled the prototype for its own driverless vehicle. That would bring down the largest cost of an Uber ride and increase profits dramatically for the company, but that lofty goal is very far away. As for today, Uber spends a lot of money on advertising to bring in more drivers and their cars. Why would Uber emphasize driverless cars? For one thing, Google Ventures is one of the largest investors in Uber (which may go public on the stock market). Perhaps Uber will play a role in Google’s heavy investment in self-driving car technologies? It could be an excellent client for Google to work with, and a technology testing platform with great potential. Kalanick has also made comments about wanting its fleet to be made up of Tesla vehicles with the Autopilot systems in place. Uber has also been participating in the Carnegie Mellon driverless car test program in the past year. The ride-sharing company’s self-driving prototype was spotted in Pittsburgh with “Uber Advanced Technologies Center” appearing on the test car. “This vehicle is part of our early research efforts regarding mapping, safety, and autonomy systems,” a company spokesperson said. Uber’s executives, based in San Francisco, seem to enjoy being part of the Silicon Valley clique with Google and Tesla. The company also hopes to one day not have to pay its drivers; as for now Uber has been enjoying having its name quoted all over the media and being the epicenter of one of the coolest, cutting edge technologies out there. They’d be foolish to ignore the viral buzz around self-driving cars. Google Inc. is moving beyond its test project and is talking to major automakers and suppliers to help move self-driving cars along. Google’s Chris Urmson, who leads the project, spoke last week at Automotive News World Congress in Detroit; he said that the suppliers include Bosch, a supplier of power electronics and long-range radar to Google, steering-gear supplier ZP Lenksysteme, and battery supplier LG Electronics. Roush, the engineering and specialty manufacturing company (and parent to Roush Cleantech) has built the two-seat pod-like car for Google, which Google will start testing on public roads this year. Urmson declined to state which automakers Google is talking to. Reuters reported earlier that these OEMs include General Motors, Ford, Toyota, Daimler, and Volkswagen. Urmson did say that Google will be looking for a major automaker to build its pod-like self-driving car, when it’s time to commercialize the technology. He did emphasize that Google won’t be entering the business of manufacturing cars. “We’re definitely not in the business of making cars,” he said. At the Consumer Electronics Show in Las Vegas this month, Daimler AG CEO Dieter Zetsche in a keynote speech depicted his company becoming the leader in building autonomous vehicles when he unveiled the Mercedes-Benz F015 autonomous concept vehicle. That will probably roll out after 2020, but for this decade Daimler will be making more vehicles with assistance programs including the ability to park themselves once drivers have exited. Tesla CEO Elon Musk thinks that fully autonomous driving can be a reality within five years; and then it will take another two-to-three years to prove that self-driving cars are safe and for regulatory rules governing autonomous vehicles to be in place. Liability will probably be rising for automakers once autonomous vehicles become commonplace, according to Washington Post blogger Emily Badger. Insurance companies focus on who is responsible for a vehicle collision and how liability will be apportioned. The vehicle itself is rarely blamed, but that will change with self-driving cars. “Liability will inevitably rise for automakers, which is one reason they might be reluctant to see a broad and speedy rollout of autonomous cars,” Badger wrote. 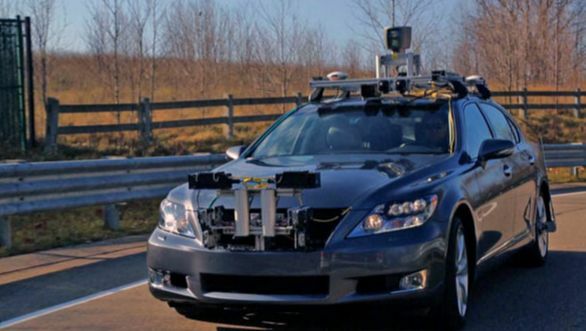 Transportation Research Institute at University of Michigan, which tracks average fuel economy in new vehicles sales, just issued a paper on road safety with self-driving vehicles. Authors Michael Sivak and Brandon Schoettle don’t see self-driving cars bringing vehicle fatalities down to zero; and safety may worsen during a transition period for conventional vehicles when both self-driving and conventional vehicles share roads.